Since 1997, HFH Boundary has been constructing decent, affordable homes for low income families. At the present time we have five homes in Grand Forks, and two in Greenwood. While none of our previously built homes are BUILT GREEN® certified, they have all been built above current building code requirements particularly in regards to insulation, energy efficiency and low maintenance. Our desire to make our homes even more affordable led us to consider certification in the Built Green Canada program. Our board of directors is committed to constructing all future homes to certified green standards. Our current project, scheduled for construction in 2011, will be our first certified BUILT GREEN® project. It is a seven unit multiplex for adult developmentally disabled men in Grand Forks. 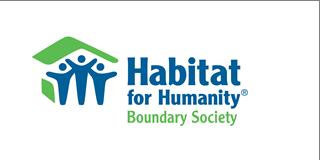 This is the first time that a Habitat for Humanity affiliate has partnered with single developmentally disabled men (we generally partner with families). The project is also unique in that it will provide a first time home ownership model to these folks, rather than subsidized cheap rent. The initial appraisal of the project indicates selling prices of $76,000 to $120,000 for the units. Each unit has been specifically designed to meet the particular needs of the future home owner. They will pay an interest free mortgage on the fair market value of their units (and a modest strata fee to cover costs of central heating and maintenance of the common area), which will not exceed 30% of their gross income.